A lot of people are not familiar with the term foreign corporations or foreign limited liability companies. Foreign, not in the sense of being outside of the United States but doing business as a corporation or limited liability company outside of the state your business entity was formed in. So if you formed your corporation or LLC in Delaware or Nevada, for example, and do business in a different state your business is “foreign” to the state in which you do business in. Each state has different criteria which determines this status. States consider physical presence in the state, employees in that state or whether you have customers in that state as some of the criteria to consider. This is definitely an area you want to sure about prior to forming a corporation or LLC in another state. while they do business in their home state, they are not required to file a tax return or information statement in their home state where they do business. This couldn’t be further from the truth. The states will get their due! There are a number of legitimate reasons for forming your corporation or LLC in a different state which you do business in but trying to legally avoid paying state taxes is not one of them. 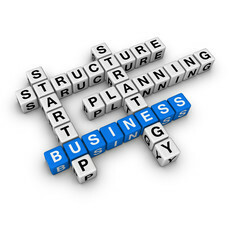 Much needs to be considered when forming a corporation or limited liability company. Do thorough research or consult a professional.